The upcoming Full Moon in Sagittarius on the 4th June will be special; at the same time, a Lunar eclipse will take place, and the combination of the Lovers/Temperance energies together with a Lunar eclipse indicates the need to face shadow aspects of the way we conduct our relationships. This can be highly emotional, passionate and unsettling, but also cleansing, healing and rebalancing. Eclipse energy tends to initiate movement; issues or situations will be resolved, concluded or let go of, but in the Sagittarius Full Moon this should be good news. 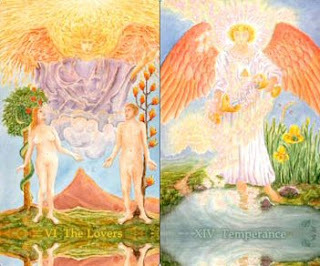 Both Tarot cards relating to the Gemini/Sagittarius combination depict angels; the Temperance Archangel Michael is protecting and illuminating, while the Lovers' Archangel Raphael helps with healing and reconciliation (see also Tarot & Angels). We are blessed with angelic healing energies. The Lovers/Temperance combination of air and fire is a friendly one; even if a relationship came to an end at this time, it would be for the best, and we'd know it. What to avoid: over-analysing, being controlling, stubborn, narrow-minded, selfish and stuck in your ways. Enjoy the forthcoming full moon, and be mindful about using its energies towards harmonising, rebalancing and healing your most precious and important relationships - and yourself! 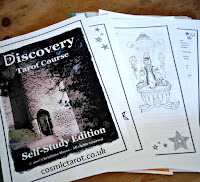 PS: My Tarot Astrology eCourse will be available in Summer 2012. Join my mailing list to receive updates and special offers. Here is my latest addition to the Tarot of Quotes. 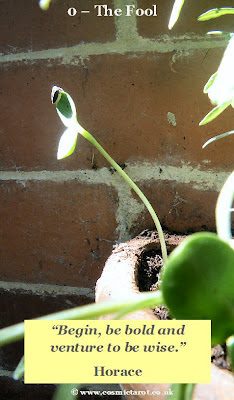 If all goes well, this little seedling will turn into a beautiful sunflower and return to the deck later as the Sun! There is a special page, where you can join my mailing list and get some fabulous freebies in return. It would be lovely, if you signed up and become one of my many cosmic friends online! Thank you so much for stopping by and taking an interest in my work! Please don't hesitate to get in touch or leave a comment below. 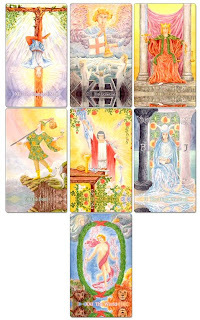 Tarot 2012 - Are you Ready for the Transformation? The 21st December 2012 is a significant date in the Mayan calendar; on this day the 13th baktun (cycle) is coming to an end after more than 5000 years. The Mayans were excellent astrologers; their calendar is based on the solar system and the movements of the stars. 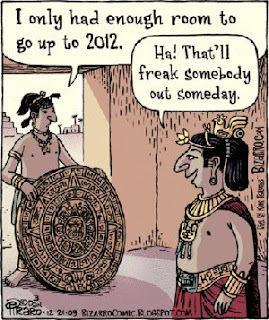 We know that there is an astrological reason, why the Mayans determined 21/12/2012 as the last day of the current cycle. On that particular day, all planets in our solar system will align with the black hole situated at the centre of our galaxy, the milky way. But don’t worry! 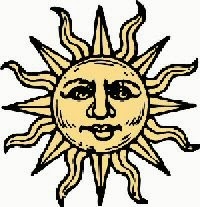 It’s unlikely that we all get sucked into it, yet if you are familiar with astrological occurrences and how they can affect our lives on Earth, then you might wonder, what the 21st December 2012 will have in store for us. The Mayans already knew about this date centuries ago, and so did Medieval alchemists and occult scholars in our Western civilisation. The most prominent one, Nostradamus, has also mentioned this date in his Lost Manuscript together with images of a wheel, sun, moon, and angels, which are all symbols found in the Tarot images. 11 – Justice; you get this number when you add up the numbers of the date. In addition, you can also include The Fool (no. 0), The Magician (no.1) and the High Priestess (no.2). All these cards seem to make sense; there's a completion of a cycle (The World), a need for sacrifice (Hanged Man) after evaluation (Judgement) and adjustment (Justice). 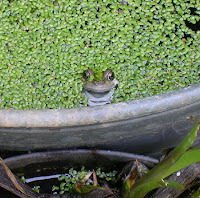 Perhaps this is a sign to get back to basics and make a new start (The Fool). The High Priestess and the Magician (trump 1 and 2) suggest opposites to be integrated into a new World order (no. 21 the World = combining trump 1 + 2 numerically). Personally I don’t believe in doom and gloom predictions. Instead, I feel that major changes are coming our way on a more personal level, which could sometimes be uncomfortable but eventually will lead to a more sustainable development and evolution of humankind and our planet. 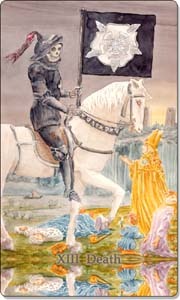 Number 12 features twice in the date - the Hanged Man - which could emphasise the necessity to make a sacrifice, or indeed the ability to progress will be put on hold for a while. It is unlikely that anything noticeable is likely to happen globally on 21/12/2012; it’s more likely to be a phase of change that has already started and is said to reach its climax some time in 2013. In the meantime, feel free to comment and share your thoughts on this topic. Are you feeling a kind of shift or transformation in your life? "The gem cannot be polished without friction." The Tower is my latest addition to my Tarot of Quotes. I've had my fair share of breakdowns in my life, and what I've learned along the way is to make the most of them! When you suddenly find that your body and mind can no longer function normally as a result of a major stress event, then you have two options: give up or take your time to build yourself up again. Believe me, the latter is the better option. Taking time out, pick yourself up, heal, transform yourself and your life. 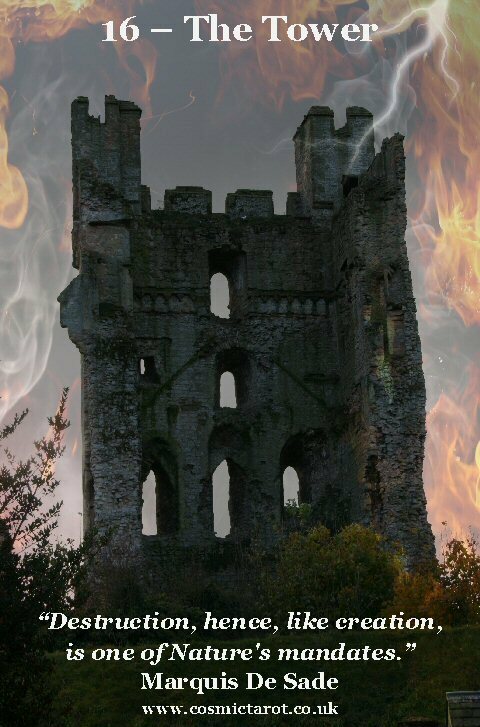 The Tower suggests destruction, shock revelations or even just a sudden realization that something in your life isn't working. Whatever it is, as long as you aim to get through it, the reward can be release, liberation, spiritual growth, regeneration, radical transformation. 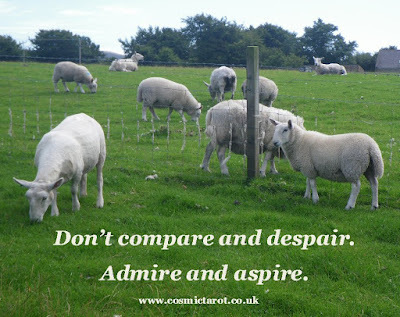 How often do you compare yourself with others? And how often does that make you feel down and insecure? If you are a budding artist, writer or entrepreneur, or you are working hard building a rewarding career in any other discipline, you will always come across people, who are further ahead than you. They may already be in a position where you want to be. They seem to be more popular, or perhaps they make more money than you. Whilst you're working your socks off to make a living, they seem to have accomplished that level of security and success that you are yearning for. And whilst you keep comparing yourself and start to despair about your imagined inadequacies, the gap between your current position and your goal will become larger as your confidence and self-esteem gradually go down the drain. There will always be people more successful than you. Some may even seem more talented. Get over it! That doesn't mean there isn't a place for you in Successville. Nobody is better than you, just DIFFERENT. Find your own niche based on your strengths and skills and create something unique in your own style. Learn from the people you admire. Study their work and how they operate; along the way you will discover some "tricks of the trade" you may not have thought of before. Network, communicate and build relationships with like-minded people including those you admire. Always give kindness, respect and support. You will find that this will be given to you in return. Admire and be INSPIRED. Never imitate other people's work or personalities. You are unique, and you have something special to offer to the world. Develop your own ideas, style and personality. Be true to yourself. Don't let others stop you from following your dream. In the end, you have to live with the decisions you make, not them. Surround yourself with people, who encourage and support you. Be grateful for constructive criticism; you will learn from it, and it will help you progress. There's no such thing as failure as long as you keep going and love what you do. Always be open to new ideas, new directions and new possibilities. Use a mantra or affirmation to switch your negative self-image into a positive one. Stop saying “I’ll never be as good as her” and say instead: “I am good at what I do, and I’m learning and getting better every day.” Keep repeating the positive self-talk and you will begin to recognise your worth. Remember, you can choose what to think, so focus on thoughts that increase your self-esteem and make you feel empowered. By simply being aware of your thoughts and knowing you can alter them already empowers you to control their quality. 1. Make a list about your characteristics, strengths, talents, skills, gifts and abilities and how you utilise them. What actions do you take to demonstrate your qualities? 2. Write down what you love and admire about yourself. 3. Create your mantras and affirmations to remind you of your power (pull some Tarot or oracle cards for inspiration). 4. When you feel negative about yourself, what could you do to help you feel better? 5. Think of activities you enjoy, people and pets who makes you happy, places you love… and anything else that brings a smile on your face – make a list of all those positive things around you and you start shifting your focus on the good stuff going on in your life. Regular positive self-evaluation will help you strengthen and maintain a healthy level of self-esteem. Write it all down. Record it in your journal.You can start right now to be the author of your life! 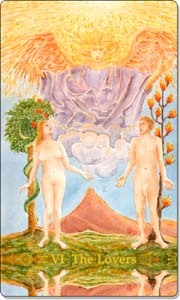 The Lovers is associated with the zodiac sign Gemini. If Gemini is either your sun or moon sign, then the Lovers is one of your zodiac cards. As a sun sign card, the Lovers may reflect your conscious, expressive, outward, open personality; how you engage with people and the world around you. As a moon sign card, the Lovers reflects your unconscious, hidden, blocked personality traits, instincts and emotions; you feel them within. 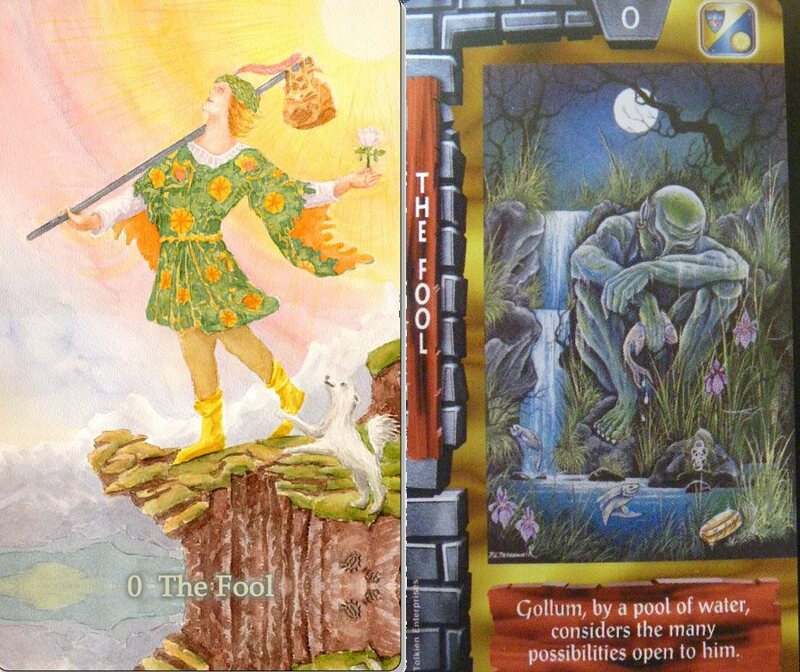 Right: Lord of the Rings Tarot, Terry Donaldson, © U.S. Games Systems, Inc. 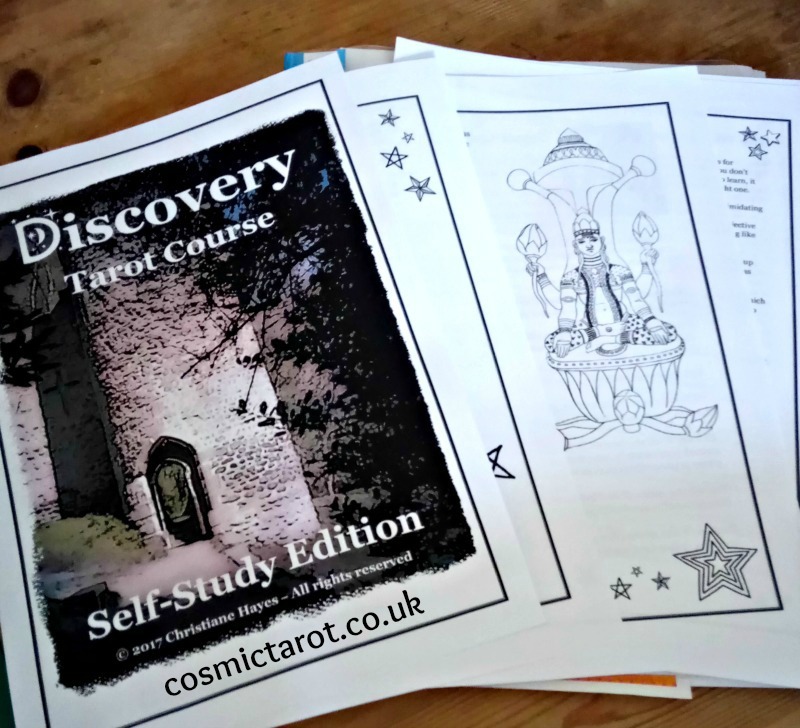 When I popped over to the @TABItarot blog yesterday, I was reminded how different styles of Tarot decks can offer new insights and change your interpretation of the cards. Take for example the Fool images on the left; one is the well-known Rider Waite Smith (RWS) based image, the other is from the Lord of the Rings (LOTR) Tarot. The Fool is one of my favourite cards in the Tarot; it's an image of enthusiasm, optimism, light-heartedness and promising new beginnings. But my recent acquisition of the LOTR Tarot gave me a bit of a shock, when I saw the creepy shadow creature Gollum representing the Fool. The text on the card says: "Gollum, by a pool of water, considers the many possibilities open to him." This isn't the regular Fool I'm accustomed to, who's just started on his journey, by daylight, open-minded and carefree. Instead, the LOTR image depicts a gloomy figure at night pondering his options with a dead fish in his hands. The mood is sombre, foreboding with a hint of fear and loathing. The companion book offers an interesting explanation, why Gollum was chosen for this image (personally, I would have chosen Frodo, who embarks light-heartedly with his friends on a journey to destroy the ring): "Gollum belongs...on neither 'side', neither that of good nor that of bad...Gollum has his own agenda, his own individual sense of right and wrong..."
What do you make of the LOTR Fool? How would this image change your reading? Having recently experienced loss and going through the accompanying emotional upheaval, I was wondering today, what message the Tarot would offer to help me heal. Of course, I'm not expecting anything miraculous to happen; the healing process takes time, but sometimes even the simplest one-card reading with the right question asked can offer some soothing, encouraging even profound messages that guide you gently towards your goal of recovery. Where am I on my healing journey at this moment in time? 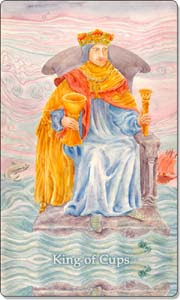 The King of Cups is all about emotional maturity, and he can keep his feelings under control. At this moment in time I can completely relate to this card. Yet despite feeling emotionally in control, deep down I suffer but find it hard to let it show. The King of Cups indicates hidden vulnerabilities and intense emotional undercurrents whilst trying to fulfil responsibility to nurture fellow sufferers; a slightly oppressive atmosphere perhaps, but it's fine by me for now. For me this is a positive card to draw at this time. I'm holding it all together, and I know that emotionally I'm stronger than I sometimes think. Where am I? In a position of emotional power, in which I can help others to heal. What healing messages does the King of Cups hold for you? Friday is usually a happy day for most people, so I thought I'd share with you an inspirational thought about Death, which I received in my inbox the other day. To the unenlightened, death comes but once a lifetime. To those who have chosen to become enlightened, there are a thousand chosen deaths before it's time to leave the body and move on. This kind of death is the releasing off all our attachments, from false identity to opinions, from people to possessions. Cutting the subtle threads of attachment frees the spirit from fear, and when the time comes to move on, it's like 'shooting the breeze'. Dying alive is simply letting go of all you hold fast to in your mind. It doesn't actually mean losing anything, simply changing your relationship with the things in your life today. The Hermit is my personality card, and it sums me up quite nicely; I enjoy my own company, solitude fires my imagination, it inspires me, and I get things done. Don't get me wrong; I do enjoy the presence of good and beloved people around me, but at the same time, my days of regular nightclubbing, parties and frequent tiring business trips to sustain a demanding career in export sales are definitely over, and I'm very glad about that. The card you can see here is from my own deck-in-progress, the Tarot of Quotes. 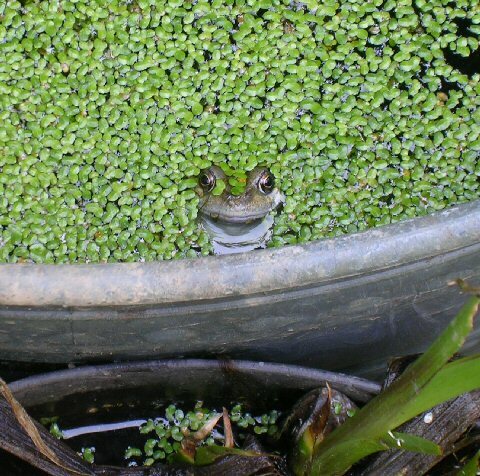 The frog lives in my garden pond tub and enjoys observing the bright world from the protective darkness of his overturned flower pot. 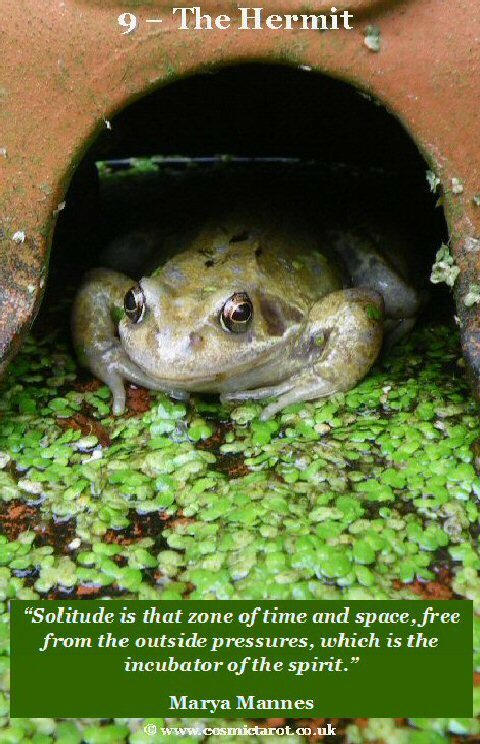 The quote I've chosen for this image reflects my Hermit personality. Often people mix up solitude with loneliness or isolation, but that's a mistake. Loneliness is unpleasant, isolation is restricting, whereas solitude is bliss. The Hermit in Tarot is on the threshold of spiritual ascension; having turned away from the need for excessive material possessions, his focus is now on simplicity and nature, physical and emotional well-being. In a reading, the Hermit suggests withdrawal from the hustle and bustle of life, the need to reflect, simplify one's lifestyle and connect with nature. The Hermit also indicates that there are spiritual lessons to be learned from issues that need to be resolved; a chance to illuminate and nurture one's hidden inner wisdom and for spiritual growth. How easy is it for you to be alone and just simply "be"? When was the last time you took a break from your busy life? Use the energies of the Hermit to detach yourself from the issues that make you feel stressed or worried, take time out to reflect and re-evaluate your chosen path ahead by listening to your inner guide. The full moon in Scorpio will be opposite the Taurus sun on 6th May this year. Astronomically, this will also be the largest full moon of the year as it will be closest to the earth. In Tarot terms, we will experience the intense energy combination of the contented earthy Hierophant (Taurus) and the deeply feeling, emotional Death (Scorpio). On the one hand, we may feel grounded and secure, but beneath the surface intense feelings may be brooding - passion, desire, elation, sorrow - we will need to make sense of emotional needs we are suddenly confronted with, and let them unravel and be expressed with integrity. Taurus loves simplicity, structure, routine and engagement with people on a straight-forward level. Put Scorpio into the mix, and we are faced with the desire to get deeper on an emotional level, which will make our interactions with people a little more complicated. The Hierophant/Taurus energy can be superficial at times, but Death/Scorpio is emotionally intense; we will feel the need to read between the lines, to question our limiting habits and fears and seek passion and intimacy. Power issues may arise, and we are urged to uncover our own inner power rather than succumbing to helplessness and despondency. The Death/Scorpio full moon may reveal some painful emotions, but they can lead to moving out of stagnation towards positive change, which will be grounded in the earthy security of the Hierophant/Taurus sun. A great chance for spiritual cleansing, healing and renewal by facing your demons without fear. How are you making use of the Taurus/Scorpio energies this week? 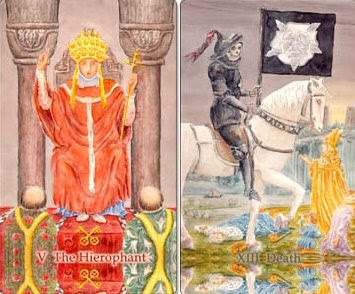 What additional insights does the Hierophant/Death combination on the image above offer you?